It can be so overwhelming when we first start a weight loss program. It seems like an overwhelming endeavor–especially if we have a significant amount to lose. 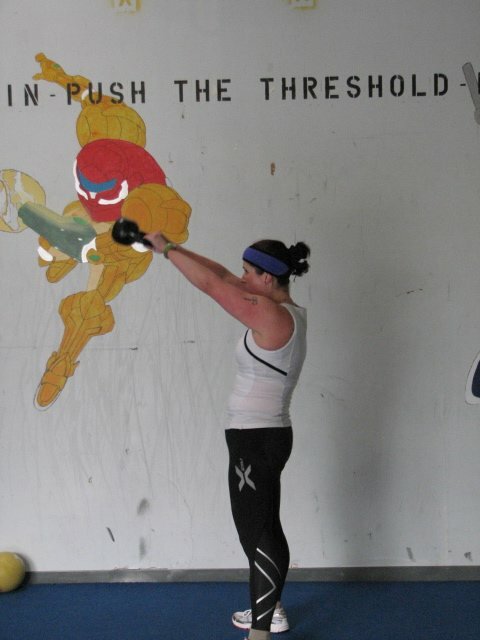 The idea of trying to lose over 100 pounds seemed daunting. It doesn’t have to be. You can start by reading this series I wrote about where and how to start: Week One, Week Two, Week Three, Week Four, Week Five. Let’s chat about the fitness part. I think tackling the fitness portion is the best way to start. Once you start working out on a regular basis you’ll start to feel better and that will inspire you to keep going. I got addicted to the high exercise gave me. It was such an awesome feeling! After a good session on the elliptical, I’d go home sweaty and tired and most importantly: inspired. I felt powerful and strong, like I could do anything I put my mind to. Once fitness is a big part of your life, your body will crave the activities. The other cool thing about exercise: working out makes you crave better food. Ask yourself two questions: Do you need classes to stay on track/stay motivated? Do you prefer to do your own thing? If you responded yes to needing classes to stay motivated, continue reading here. I’m slowly growing to like taking classes more. I hated them. I was uncoordinated, I couldn’t keep up with the rest of the class and felt frustrated whenever I tried. I gave up. Finding a spin class I really liked changed the way I thought about it. The trick is that you have to find the class that works for YOU. If Zumba isn’t quite your thing, try Body Pump or Water Aerobics. There has to be something that you can do with skill, you just have to try all the classes to find which one works for you. Give all the classes a try before you give up. Sometimes it will take a few sessions to really discover what you like and dislike. Keep going. Add the classes to your calender and go to them. Sign up for several classes a week and rotate through several of them to keep things fresh. For example, do yoga Mon/Wed, Body Pump Tues/Thur and water aerobics on Saturdays. Choose the right gym. The gym is a very personal thing. Find the one that works for you. Make a list of “Must Haves” and really take your time making a decision. Gym memberships are often costly. Take the time to decide which one you’re going to use. Choose the right Personal Trainer. 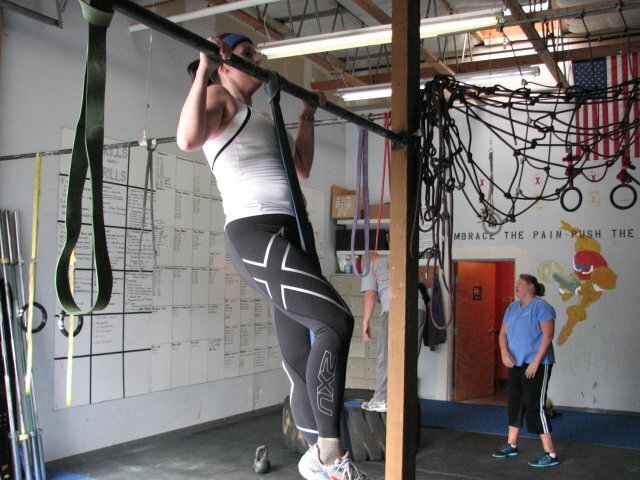 You should have a connection with your trainer and feel safe with them, feel confident in the training plan. I had the best trainer ever! He was encouraging, positive, listened to what my goals were and made the sessions fun. If you aren’t having fun or if the trainer is playing with their phone the entire session, find a new one. They work for you! Ask a friend to join a gym with you. Or join the gym/classes your friends take so you have a partner to go with. Doing it that way can be fun and motivating. If you answered yes to preferring to go solo, continue reading here. You’re in luck! There are a million ways to lose weight and stay fit without paying for a personal trainer or taking classes. I’m much more inclined to workout by myself. I like the “me time” and doing things at my own pace. I usually start out with some cardio to warm up. These days that’s the elliptical. In nicer weather I like doing bike rides or running outside. After the cardio I spend at least 30 minutes doing a weight circuit. I mix it up with machines, free weights and simple body weight exercises (like lunges and squats). 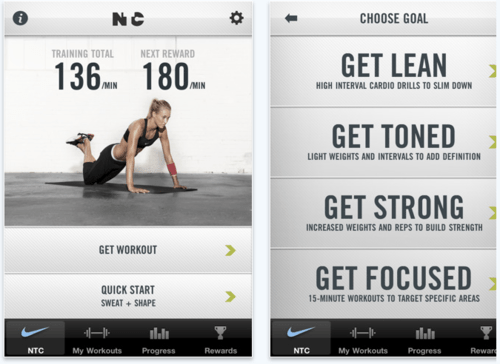 To get ideas for weight lifting routines I use one iPhone app that I absolutely LOVE. It’s the Nike Training Club App. It’s FREE and totally amazing. It was also rated the #1 free app! 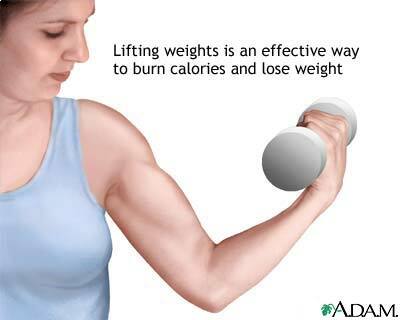 You can learn knew and fun exercises to do with and without weights. 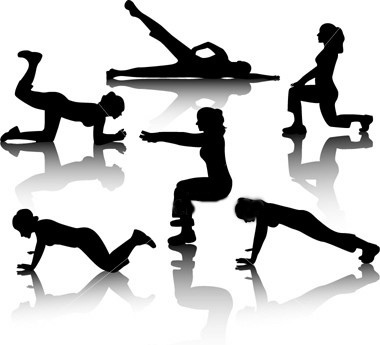 There are so many different exercises that you’ll never get bored with it. I use this app at home AND at the gym! You don’t need a gym membership to get fit. There are a lot of ways to lose weight working out at home. There are DVDs you can get on Netflix to change your routine each time, you can do full body exercises, hook up your bike to a trainer and do your own Spin class! Try free weights at home. You don’t need a fancy gym or a trainer to workout. Spend $50 on a few free weights of varying amounts and begin a weight routine in your living room. Read this awesome lady’s blog. Suzanne is an excellent resource and a huge advocate of weight lifting. One of the things I regret in my weight loss journey was not lifting weights from the start. My weight loss would have been faster had I done that. In conclusion, whatever route you end up taking in 2012 there is a way to make it work for you. Spend the time to improve yourself and enjoy the results you see! QUESTION: Do you have any other tips or tricks? LOVE this. Such great advice! You are so inspiring. I really hope that the new influx of New Years people find your blog and use your educational blog posts to find the courage and information they need to finally make the change that you did those years ago. You have certainly help keep me motivated! I hope so too, Becky. I was hoping some new readers who are trying to start 2012 with some good goals could find me! this is such a great, informative post! Wonderful advice!